Now that you've earned your "mixologist" merit badge by making a classic old fashioned using bourbon distilled in your garage and blended with your own variety of heirloom orange bitters, you are one step closer to being a full fledged hipster douche bag. But alas, wouldn't making your own honey and selling it at the weekend farmer's market be da bomb? The good folks at Williams Sonoma have got you covered, with the home apiary starter kit, or backyard beehive for the layman. 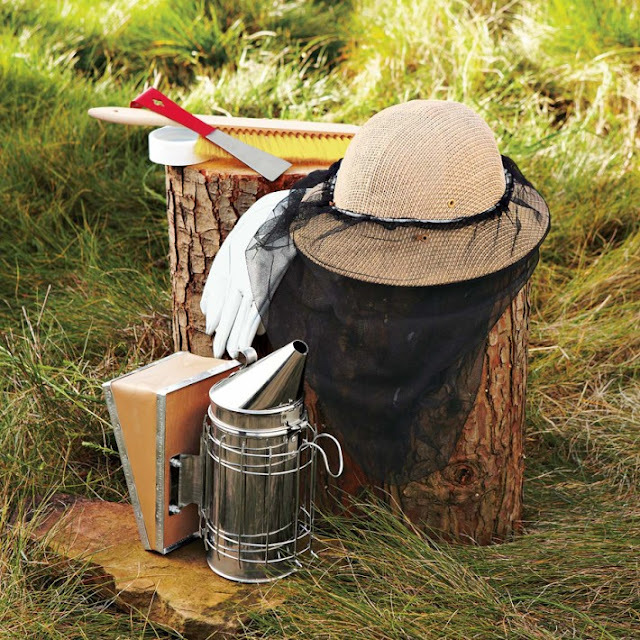 Complete with the beehive itself, the kit comes with all the accoutrements that would be found on the modern apiarist, including that hat with veil, gloves, hive tool (??? ), bee brush (?????? ), and a stainless steel smoker. 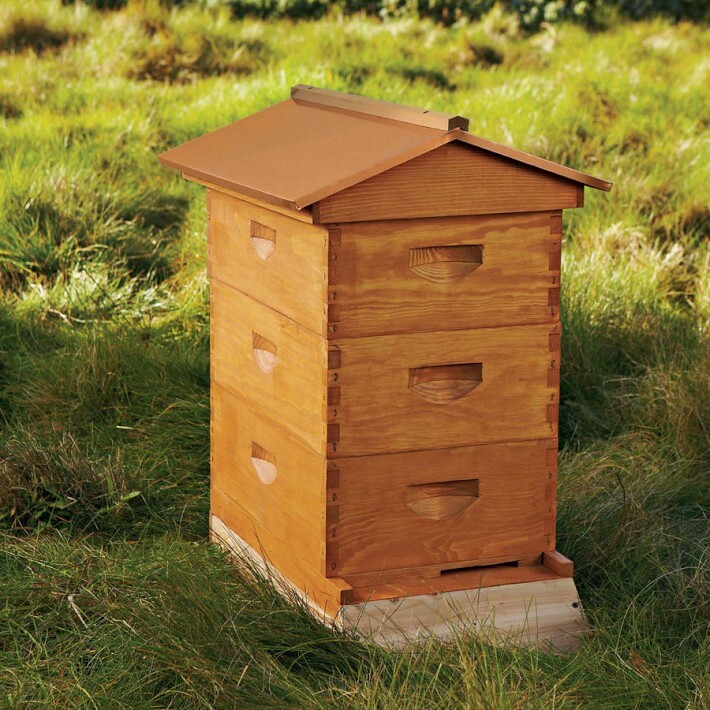 Now all you need is a quirky name for your honey...like Buzzinga, The Hive Mind, or maybe The Honeycomb-Over. You can get yours here. Another pic after the jump.